2.11. What is dissociative identity disorder (DID)? 2.22. What are the symptoms of dissociative identity disorder – DID? 2.33. How does dissociative identity disorder affect the way people experience life? 2.44. What is the difference between dissociative identity disorder (DID disorder) and schizophrenia? 2.55. How can dissociative identity disorder – (DID Disorder) be treated? Have you ever had an “out of body” experience or daydreamed while you were driving, but didn’t realize it? Having a dissociative identity disorder (DID disorder) is a lot like that, but more frequent and intense. Dissociative identity disorder (DID) was formerly known as multiple personality disorder and is a condition in which the individual’s identity is fragmented into two or more personalities. DID is often caused by many factors, such as trauma from severe childhood abuse (emotional, physical, and/or sexual). The individual experiences fragments of their identity, rather than separate personalities. The condition causes memory loss that is too extreme to be defined as mere forgetfulness. 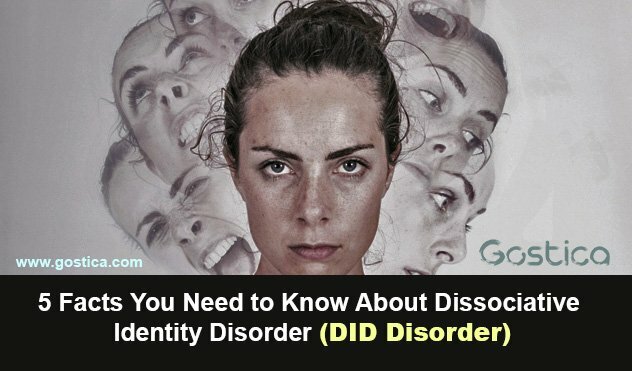 People with dissociative identity disorder experience an overall lack of connection in their actions, feelings, memories, and identity. The reason for their dissociative behavior is because it serves as a coping mechanism where the person can remove themselves from a situation or experience that’s too painful or traumatic to be fully involved in. 2. What are the symptoms of dissociative identity disorder – DID? People with DID often describe the condition similar to being possessed. They may hear voices in their head and experience sudden or impulsive emotions that they have no control over. In other words, it’s a lot like not having the power or option to choose who you want to be, which is what makes it both a terrifying and difficult experience to recover from. The individual’s identity involves constant change through their behavior, consciousness, memory, perception, and motor function. There are also many gaps in the memories of their personal history, whether it’s from their early childhood or something that happened very recently. As a result, people with DID often experience a lot of distress in their lives when the condition impacts their ability to connect socially with others as well as their ability to complete daily tasks in the workplace. People with DID disorder may also experience other problems, such as depression, mood swings, sleep disorders, anxiety, alcohol and/or drug abuse, compulsions and rituals, and eating disorders. It’s important to be aware, too, that more than 70% of those diagnosed with DID disorder have attempted or thought about suicide, which is why treatment for it is crucial. People with DID disorder can experience an “out of body” experience called depersonalization, which is when the individual’s’ body feels detached from reality. People with dissociative identity disorder also experience derealization, which is when they believe the world isn’t real or far away from them. This is why DID often exposes people to depression and anxiety because it can cause deep alienation from the rest of the world that inflicts loneliness and feelings of deep misunderstanding. People with DID disorder also experience amnesia, because they can’t recall past events that go beyond ordinary forgetfulness, and identity confusion, which can cause them to have difficulty choosing what interests them, their religious and political beliefs, and their career ambitions. 4. What is the difference between dissociative identity disorder (DID disorder) and schizophrenia? Dissociative identity disorder is often confused with schizophrenia because their symptoms sound similar. But unlike DID, schizophrenia involves psychosis, which is when the individual loses touch with reality and sees, hears, and feels things that aren’t real. There is a huge misconception in which people often believe schizophrenia is characterized by multiple personalities, but it’s not. Schizophrenia heavily involves hallucinations and delusions; whereas, dissociative identity disorder is characterized by a fragmented, conflicted self in which the individual has trouble merging their many personalities into one. 5. How can dissociative identity disorder – (DID Disorder) be treated? DID disorder can be treated with long-term psychotherapy in which the patient learns to deconstruct their different personalities until they all come together and unite as one. In other words, for the person to get better, they must work towards becoming whole. Currently, there are no medications that exist that specifically treat this order. However, there are antidepressants and anti-anxiety drugs that people can be prescribed to take in order to alleviate some of the symptoms that are associated with DID. What do you think about dissociative identity disorder? Do you know someone who has it?